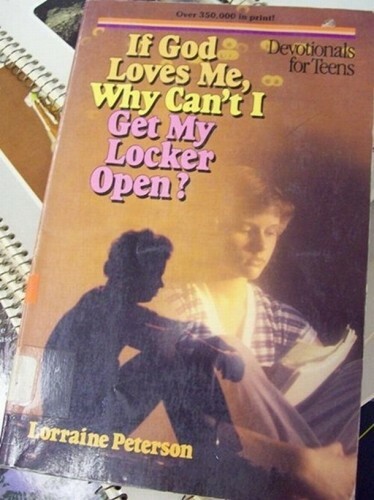 Because only the cool gods grants super powers and awesome weapons that could be used for opening locker doors. Yahweh is only good at hiding and being invisible. If God loves you? God does not love you. God spits on everyone. Because your locker’s full of apples. Because God did not give you a brain to remember your combination. Some are made to be dumb, it’s all part of the master plan. I don’t get it. Is his locker a metaphor for his zipper?